Few instruments are as beautiful on their own as the piano. I grew up with a piano teacher for a mother, so naturally I took lessons too. There was piano music in my house everyday, so it’s no wonder I find the sounds of this instrument to be soothing. When set in front of pianist Dana Cunningham, the sounds this instrument produces are magical and relaxing. Cunningham’s CD The Color of Light will transport listeners to a place of tranquility and peace. The music, all composed by Cunningham, has an Enya-like contemplative quality. While the music focuses mostly on piano, occasionally a guitar, strings, or a voice play lightly into the pieces, adding another layer of warm color. There is something lighthearted and comforting to The Color of Light. If you love having some relaxing music in the background or perhaps a soundtrack to your quiet moments, this is certainly one to get for your special collection. Dana Cunningham has a light touch and coaxes a vibrant quality from her music that will bring you back to The Color of Light again and again. Want to win your own copy of The Color of Light by Dana Cunningham? I have one to give away! 1.) Just visit Dana Cunningham’s Site, turn up your speakers, and listen. (You’ll be hearing Leap of Faith.) Come back and explain to me why you like her music. (You may enter once a day.) Remember, leave an interesting comment. If I cannot contact the winner, you might be chosen instead based on your comment. Feel free to do all four to gain several entries to win! You have until midnight EST on Monday, March 30, 2009, to enter. I am a writer. 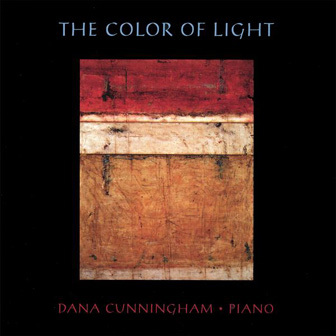 After listening to the sample of Dana Cunningham’s music, I can tell you this would be the perfect CD for helping me to concentrate – perhaps in my pre-writing meditations. I like to relax and let my mind flow before sitting at the keyboard; something like this would certainly stir my creativity and get me in a calmed state of mind. Thanks for the great opportunity! Her music is so relaxing and soothing. This would be great to have on in the background instead of the TV. I love playing music for my kindergarten kids when we’re doing our journal writing. her music is so soothing it would be great!! I love the soothing feel of her music. I could sit and design all day listening to it! Sounds like something I would like. Thanks for the contest. I am a massage practitioner and this music is perfect. I love it. It’s very pretty and calming–the notes sound like rippling bells. Thanks! I like her music because I”m too stressed out. It would be perfect to relax and destress to. Thanks for the chance. The music is so beautiful and so soothing-love it! 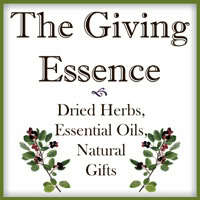 I would love to win to listed to relax and unwind. I absolutely love soothing music that allows my mind to wander into the past, into imaginary peaceful scenes or into a state of hopefulness and freedom. Dana Cunningham’s music promotes all of this. Thanks for the chance! I love piano music and we always have music on in our home. I thought the music was beautiful, you can enter into it. Let it become part of you. Cairine got it just right: you can feel the music moving through you creating a calming presence and inner peace. Here is my Tuesday entry….hope I win. I close my eyes and open my mind and listen… and I am so relaxed….usually I become tense but this music is definitely serene to me, thanks for the opportunity to hear it! Catherine copelands last blog post..We Have Our Winners!!!! Wow, what a nice song! I already added the CD to my Amazon wishlist. I liked it because it was piano music (my favorite), and it was very relaxing. Thanks for the giveaway! 3/25/09 – Wow, what a nice song! I already added the CD to my Amazon wishlist. I liked it because it was piano music (my favorite), and it was very relaxing. Thanks for the giveaway! Very relaxing music.. I like it!